“3-D sound offers an unrivaled listening experience: the ultimate in immersive, natural, and emotive sound reproduction.” Mathias Renz is responsible for audio and acoustics in the Porsche development process. The coloratura of a virtuoso tenor or the smooth tones of a female jazz singer? Music is a question of taste. Playback quality, however, is not. The Burmester High-End 3D Surround Sound System in the Porsche Panamera expands into the third dimension. For the first time in automotive history, the sports sedan will feature a new audio format heretofore used exclusively by Hollywood studios: Auro-3D translates the stereo signal into an immersive sound experience that differentiates not only left from right and front from back but also above from below. The amplifier output is an impressive 1,455 watts—almost 50 percent more than its predecessor. The subwoofer musters 400 watts—a third higher than before. Using a mathematical procedure based on measurements by the world-renowned Galaxy Studios of Belgium, 3-D sound is distributed to twenty-one speakers. 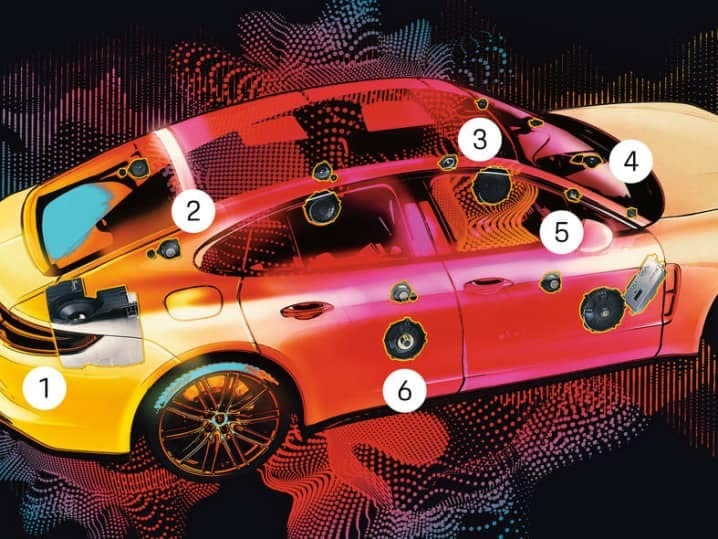 During hundreds of hours of fine-tuning, acoustics engineers from Burmester and Porsche optimized the sound dynamics. The result: music reproduction that is emotive, precise, and highly dynamic. Burmester and Porsche developed software that compensates for frequencies omitted during the compression process and repairs coding errors as much as possible. The upper full-range speakers in the A-pillar carry the 3-D sound into the car. 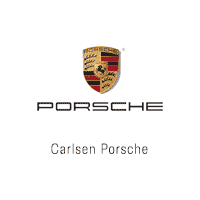 They were specially developed for the Panamera and meet the highest acoustic specifications in the smallest of spaces. The Burmester system only weighs roughly 17.6 ounces more than a conventional stereo system—due in no small part to the use of die-cast aluminum baskets in the speakers.